This Michael Kors bracelet is crafted from sterling silver. 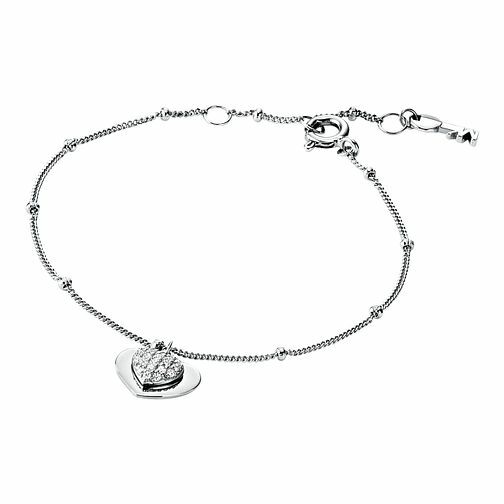 Whilst simple in form, the chain detailing and cubic zirconia heart charm give it a contemporary finish. Layer with other bracelets for the days when you're looking to make a fashion statement, or wear alone for a more casual daytime look.